Student A's page, is not being shared with or two student A. 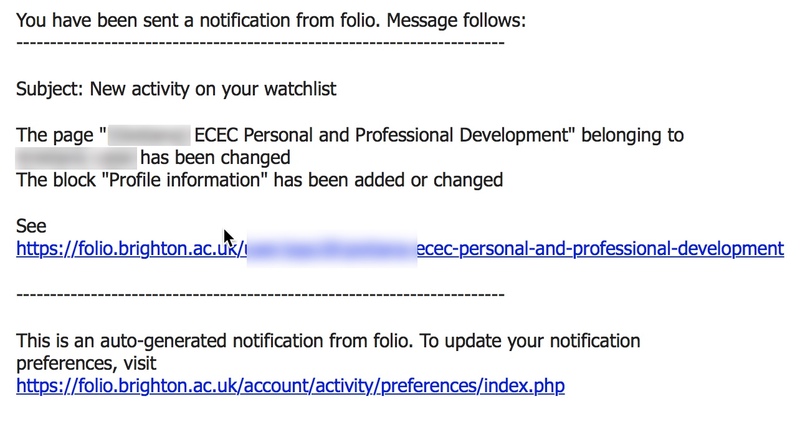 ** Attachment added: "screen capture of worrying notification"
see) to Student A's page at all. Let alone to setup a watchlist. setup a watchlist at all.